Wow, very impressive!! 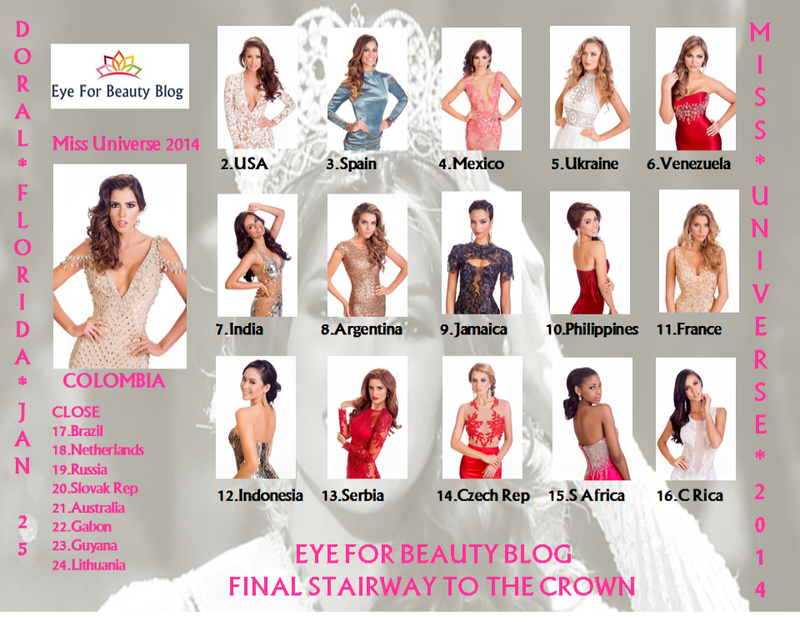 You guys predicted the winner, Colombia, and first runner up USA!!! Also Ukraine as Top 5. You got 11 out of the Top 15!!! And 3 of your Close ones made it, Brazil, Netherlands and Australia, so 14 of the 15 !!! You guys are really good, much better than other pages, well done Eye for Beauty!!! !